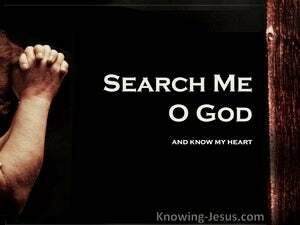 Search me, God, and know my heart; test me and know my concerns. 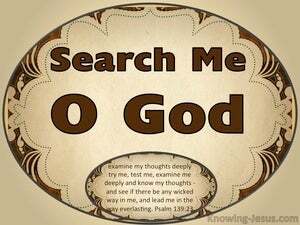 Examine me, God, and know my mind, test me, and know my thoughts. 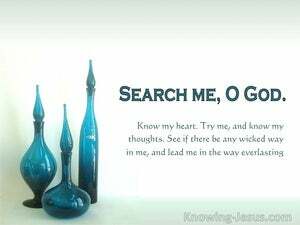 Try me, O God, and seek the ground of mine heart; prove me, and examine my thoughts. 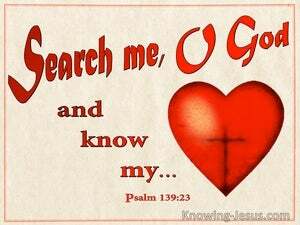 22 I hate them with the utmost hatred; They have become my enemies. 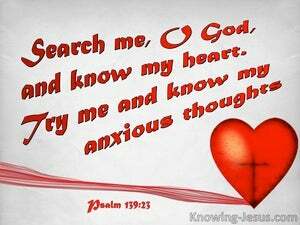 23 Search me, O God, and know my heart; Try me and know my anxious thoughts; 24 And see if there be any hurtful way in me, And lead me in the everlasting way.